Do you need a new garage door remote clicker in Friendswood, Texas? You need to check out the wonderful products we have to offer. We carry outstanding brands from Genie, Liftmaster, and Chamberlain. You can also choose from Sears, Craftsman, and Marantec. These are some of the most popular products in the industry. We sell and service these devices. Our certified techs are friendly, helpful, and professional. Turn to Garage Door Repair Friendswood for all your remote control needs. Who doesn’t love their garage door remote? This small device comes in very handy. You put your vehicle in the garage to protect it. It is also a matter of convenience. You can avoid bad weather by opening your door with a remote. Just roll into your driveway and open the door at the push of a button. Pull inside and close it behind you. This is how it is supposed to work. But sometimes remotes break down. When they do, you have to make a decision. Do you want to get the unit repaired or replace it? We offer exceptional garage door clicker sales and service in Friendswood. If your garage door remote control stops working, take a deep breath and remain calm. Before you give us a call, check the batteries. This is a common problem that can easily be resolved. If the batteries are good, decide if you want us to fix it or replace it. 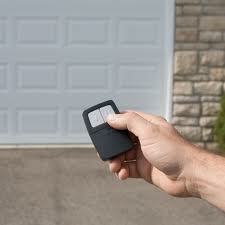 We offer superb garage door remote clicker repair. Our certified pros are qualified to service all remote brands. In many cases, the device can be easily fixed. If this is not the case, we will be happy to provide garage door remote replacement. We know your garage remote is important to you. Our experts will do everything possible to provide the service you need. Check out our Friendswood garage door remote clicker sales and service today.